Justin Wiebelhaus activates his free subscription to Barron’s. A gift from Carson fosters financial proficiency. The toolbox of financial resources for all business students expands Monday, January 28 to include the Barron’s in Education program due to a gift from Carson, a leading provider of advisor solutions and wealth management services for investors. The educational program, designed to foster financial proficiency and professional growth in future business leaders, provides the same 24/7 access to online, real-time content, perspective and analysis utilized by Barron’s subscribers to not only the students, but also faculty and staff. Paul West, CFP®, '98, managing partner at Carson Wealth, Omaha, Nebraska, office helped bring Barron’s in Education to his alma mater. West and Carson viewed the opportunity as a way to foster career development among aspiring financial services professionals like Wiebelhaus. Dean Kathy Farrell and Paul West, '98, in front of the college’s state-of-the-art trading room. In addition to the digital subscription, the program also offers access to guest speakers and webinars, connections with Dow Jones and Carson recruiters, and opportunities for students to tour Dow Jones’ corporate headquarters in New York City. Faculty can leverage Barron’s Weekly Review newsletter created by a doctorate-level contributor who summarizes articles and includes questions designed to enhance student discussion. “Through engaging Barron’s in its educational program, our students and faculty gain additional insight into investment topics and market trends. We sincerely appreciate Carson for their financial support to bring this program to the college,” said Dr. Kathy Farrell, James Jr. and Susan Stuart Endowed Dean. Utilizing the new resource can introduce business students to the real-world, market-moving information professionals rely on daily. To reap the full benefits of the program, Farrell challenges students to follow in the footsteps of the college’s most notable alumnus by developing the habit of reading. 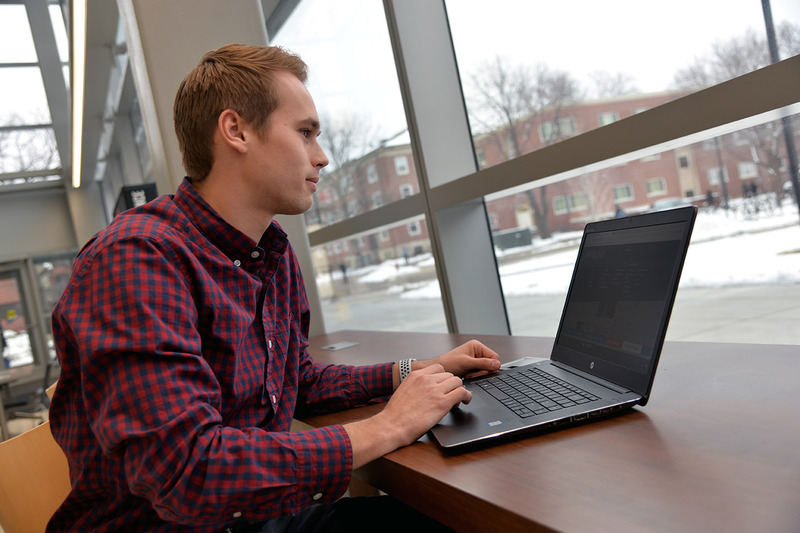 College of Business students, faculty and staff can activate their free digital subscription by using their My.UNL login at: https://business.unl.edu/barrons.